At an average rate of between 40 and 50 percent, employee turnover is a major challenge restaurants in the US face. Inspired by their experiences with staffing options like Craigslist and recruiting agencies, Darren Wan, a former restaurant owner, and Peter Lada launched Easy Pairings, an online job marketplace for the hospitality industry. Their goal is to make it easier for restaurants to find great front of house (they don’t do back of house) talent. 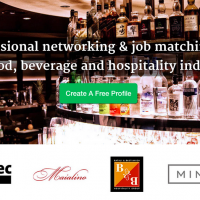 New York City-based Easy Pairings allows front of house job seekers – like general managers, servers and hosts- to upload their resume for free. Its algorithm then analyzes resume data points like skills, work history and experience to help restaurants identify promising candidates. Using the website, restaurants are able to quickly cull through Easy Pairings’ database of 27,000 resumes (which is growing by 40 percent each quarter, according to Wan) and produce a shortlist of ideal candidates. The website even schedules interviews with them within three days, so that all restaurant managers have to do is conduct the in-person interviews. The service, which costs $49 for one shortlist or $245 for 6, saves restaurant operators 15 days over traditional options like classified websites, word of mouth and recruiting agencies, says Wan. And restaurants have been using the service an average of 1.5 times a month, twice the rate his team expected based on their initial market research, he tells me. 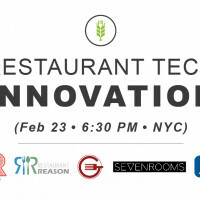 At our January Food+Tech Meetup “How New Tech is Transforming Restaurants” Wan presented Easy Pairings’ model and mission (video above). I also spoke with him to learn more about his startup’s technology, growth and fundraising plans. Food+Tech Connect: What challenges have you faced with on-boarding restaurant clients? Darren Wan: The restaurant industry is sick and tired of being approached by sales people pushing products and services that can’t prove their ROI or they simply don’t need. So when a new company like Easy Pairings comes around with an industry changing product, potential clients have their guard up. It has been great to see restaurant owner’s eyes light up when they learn that there is a better way to find staff than the typical online job positing. 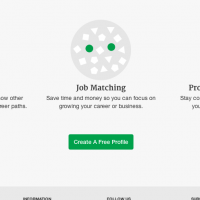 FTC: How does your success rate for matching job seekers and employers compare to other hiring methods like Craigslist? DW: When a restaurant orders an Easy Pairings’ Shortlist, our system identifies active job seekers from our database who have the work experience the restaurant desires and then swiftly schedules 5 to 7 of these candidates in for interviews based on the hiring manager’s schedule. On average, 1 out of 3 of these Shortlist candidates are hired or brought to trials by the hiring manager. Our Shortlist is much more efficient and produces direct results when compared to online job posting alternatives like Craigslist. Based on market research, most restaurants filter through hundreds of resumes to schedule in 10 to 15 candidates for interviews of which, maybe one candidate might be hired or brought to trials. FTC: Have you experienced demand for back of house positions? When and if do you plan to expand? DW: Our current focus is helping restaurants find front-of-house staff faster and easier. Many, if not all, of our clients have back-of-house needs and we plan to address these during the remainder of 2014. When we expand our product to these back-of-house positions, our usage rates are going to explode. FTC: How does your algorithm work and how has it evolved? 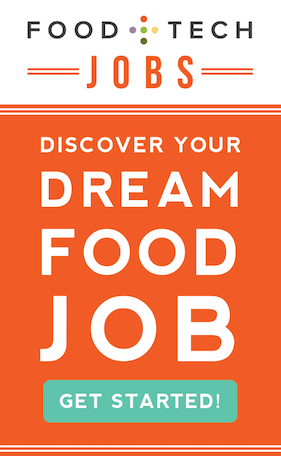 DW: Our algorithm takes a job seeker’s work experience and converts it to a numerical score for each restaurant opportunity and allows us to predict which job seekers would be a best fit for different restaurant opportunities. Our algorithm continually evolves and improves over time. We have doubled the number of data points that factor into a job seeker’s matching score including approximate commuting times and expected tip earnings. FTC: Have you raised any money? DW: We have completed a friends and family round and have put together a stellar advisory board comprised of veterans from hospitality, recruiting and technology industries.